Suzanna is an ex Ms. Natural Olympia bodybuilding champion, who has converted into the game of tennis at late age and passionately plays every day. Even with all her training background and fitness skills, tennis started to create pesky imbalances in her body. Suzanna was determined to stop that and started to focus on tennis specific training and injury prevention. Over the years, she has developed special and effective techniques for injury prevention. Suzanna is certified by National Academy of Sports Medicine (NASM) as a Performance Enhancement Specialist and Corrective Exercise Specialist. She also has a certificate in Plant-Based Nutrition from eCornell University. Suzanna is passionate about teaching people everything necessary for them to become healthy, fit and pain-free. She has published several books and is a regular writer for many websites, such as Active, LIVESTRONG, Examiner, NaturalNews, and more. She was born in Europe, has two Masters in computer science, speaks 6 languages and loves to learn new things. Suzanna is available for private or group training, guest writing and public speaking. She resides with her chocolate Labrador Zuzi in Venice Beach, California. Suzanna McGee did just that when she moved to Venice Beach, California in June of 1996. The six foot European beauty was born in the communist Czechoslovakia and moved to Sweden in 1988 after earning her Masters in Technology. Once in Sweden, the multi-lingual (she speaks six languages) Suzanna completed another Masters, in Computer Science and began lecturing at the university level. In between lectures, she became a fitness trainer and soon realized that fitness and training would eventually become a full time career. A brief visit to Venice in the summer of 1995 proved to be more than a simple vacation. It made Suzanna realize that she wanted to live near the sun and sea to pursue a disciplined journey towards a healthy body and a balanced mind. After selling her home and belongings, quitting her job and ending her relationships, Suzanna moved to Venice Beach the following summer. She arrived in California with one bag and a mountain bike, not knowing a soul and not speaking the language. 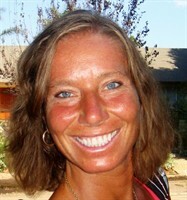 Once in Los Angeles, Suzanna quickly learned English and started personal training in Marina Del Rey. She joined the infamous Gold’s Gym in Venice and focused on training, nutrition, and rollerskate dancing. In 1997, she began to compete in a few fitness contests in which she performed her routine on rollerskates. Suzanna’s height and muscular frame led people to suggest that she try amateur bodybuilding. She rose to the challenge and entered a contest, which she found very exciting. In 1998, she competed in 19 contests and gained a large amount of stage experience. By the year 2002, she had accumulated 60 bodybuilding and rollerskate dancing trophies, peaking with the Ms. Natural Olympia world championship title in 1999. Suzanna’s love of performance also led to a national television commercial for Lipton Iced Tea and video work, and a part in the Sci-Fi movie The Surplus Male. In 2002, Suzanna hosted a weekly television fitness and training program that aired globally via satellite network Pars TV. The year 2002 was Suzanna’s last year in bodybuilding as she then found a new passion – tennis. She has been competing and working with several tennis coaches since 2003, winning many tournaments and receiving an international ranking. In 2007, she started to learn to play tennis ambidextrously, just to challenge her body and brain on another level. Her ambidextrous game has been featured in the book Whole Brain Power: The Fountain of Youth for the Mind and Body by M. Lavery. In addition to tennis, Suzanna weight-trains several times per week, and she has added kettlebells and yoga to her off court training. Suzanna’s remarkable fitness has allowed her to reach high levels in tennis quickly. 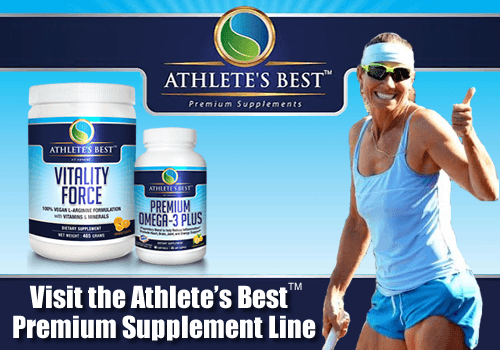 Discovering the “magic potion” for ageless competitive tennis through mindful fitness, this 49-year-old true athlete plays tennis daily, and without aches and pains. 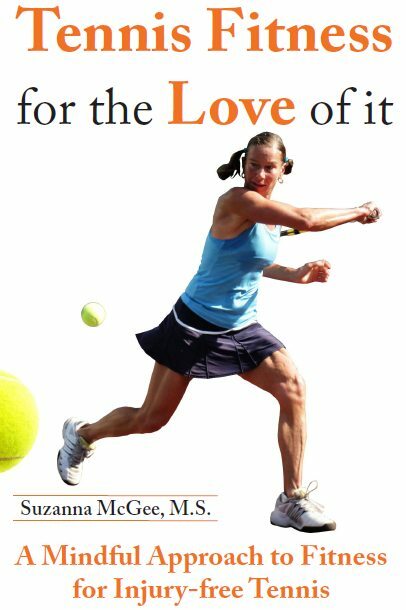 These days, Suzanna uses her computer background to maintain her own websites www.tennisfitnesslove.com and the former bodybuilding site www.sixftlion.com, offering interesting fitness articles and advice on injury prevention, improving athletic performance, and plant-based nutrition. She has been a regular contributor to online websites such as Suite101, Examiner, LIVESTRONG, NaturalNews.com and Active. With her teaching and writings, Suzanna possesses the tremendous ability to inspire athletes to be the best that they can be. 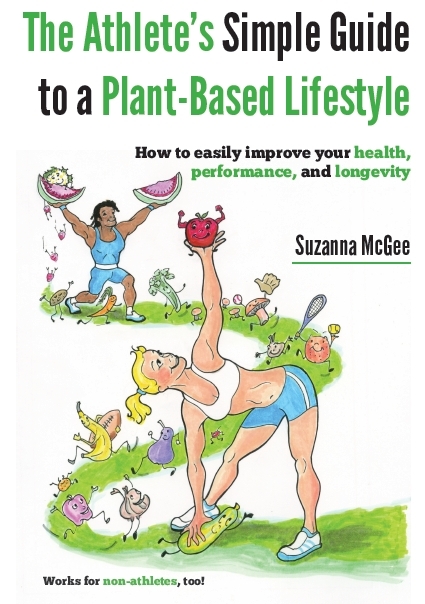 3) The Athlete’s Simple Guide to a Plant-Based Lifestyle: How to easily improve your health, performance, and longevity. Works for non-athletes, too! in May 2014. All are available on Amazon worldwide. Now people from the entire world can learn conscious fitness and develop the skills how to become injury-free for the rest of their lives. Suzanna McGee strongly believes in the power of the subconscious mind and its ability to be a powerful tool to help people realize their life goals. She respects body and mind equally, and strives to live her life in balance and joy and to share this with others. She believes in “think happy, be happy.” Her spiritual and disciplined approach towards life are a joy and inspiration to those who know her and she is living proof that brains and brawn need not be mutually exclusive. 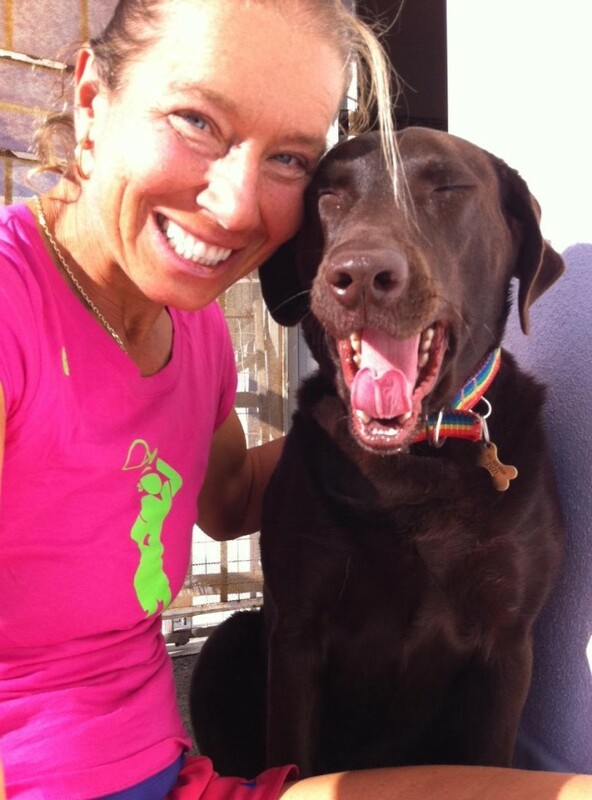 Suzanna resides with her chocolate Labrador Zuzi in Venice Beach, California. Follow Suzanna on Facebook, Google+, Instagram, LinkedIn, or Twitter. Or even better, subscribe to her newsletter delivered conveniently to your email box so you don’t need to worry about missing any of her healthy tips.